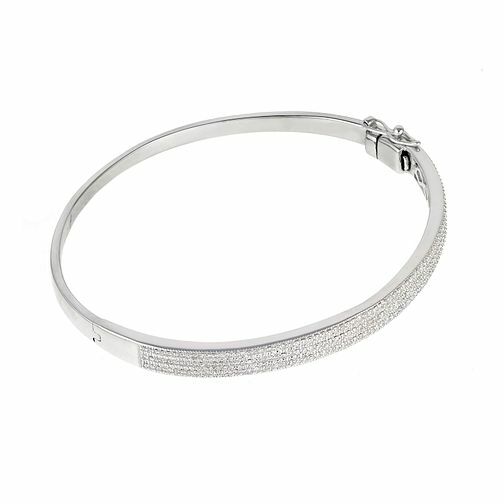 A dazzling addition to any outfit, this irresistible 9ct white gold bangle is paved with glittering diamonds. Perfect for the elegant modern woman. A glamorous gift for someone special.